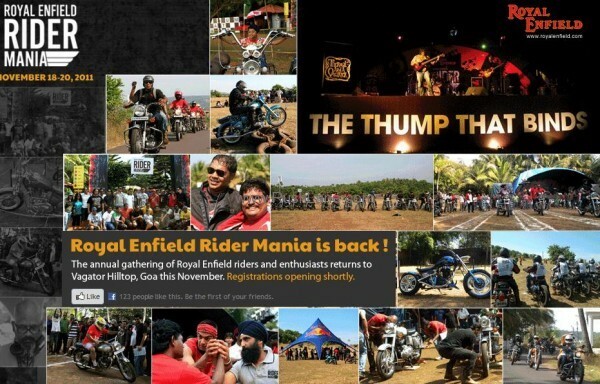 The ninth edition of Rider Mania has been announced for the year 2011 by Royal Enfield. The programme will be a three day event from 18th to 20th November. The announcement was made recently. It is an annual event organized by the Royal Enfield. All the interested bikers make their way to The Hill Top, Vagator, Goa. There are literally hundreds and thousands of bike lovers who find their way to Goa. The popularity of the event has been growing day by day. The duration of the Rider Mania brings together bikers who share their stories with other bikers. They have a lot of things in common like, their exciting stories, their bikes, adventures and of course, the love for biking. These bikers even get a chance to showcase their motorcycle skills. To bring more excitement to the Rider Mania, the RE team has come up with undersized but interesting events. Some of these include “Carry your Royal Enfield” “Dirt Track Racing”, “Slow Race”, “Trials” and even “Arm Wrestling”. And yes, there is much more to watch out for. Out of that “much more” there will also be a photography contest conducted directly by the Royal Enfield team. To give a boost to the Royal Enfield bikes, they have another contest on hands. This one is about the custom bike competition. You have to make a custom Royal Enfield bike. There will be judges to give their opinion upon and to select the best custom made Royal Enfield bike. For the photographer in you, Royal Enfield will also conduct a photography contest. Then there is the custom bike competition where a panel of judges will select the best custom made Royal Enfield motorcycle. Registrations have not opened yet. 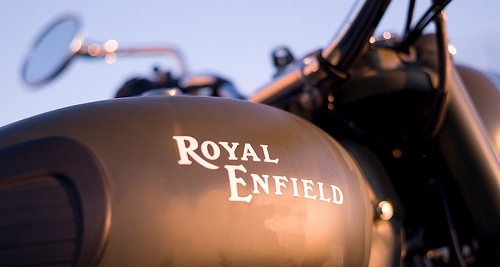 Click here to visit Royal Enfield website.